Hey y'all and Happy Thursday! 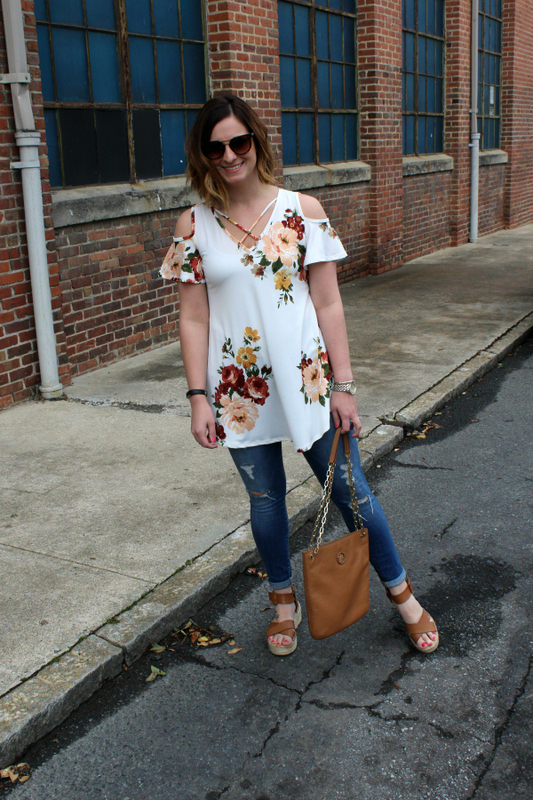 Today, I'm so excited to be styling this gorgeous cold shoulder floral top from one of my very favorite online retailers, Simple Addiction! I've styled their amazing leggings, a gorgeous dress, and a comfy hoodie in the past. I just love their comfy yet chic pieces that are so budget friendly! 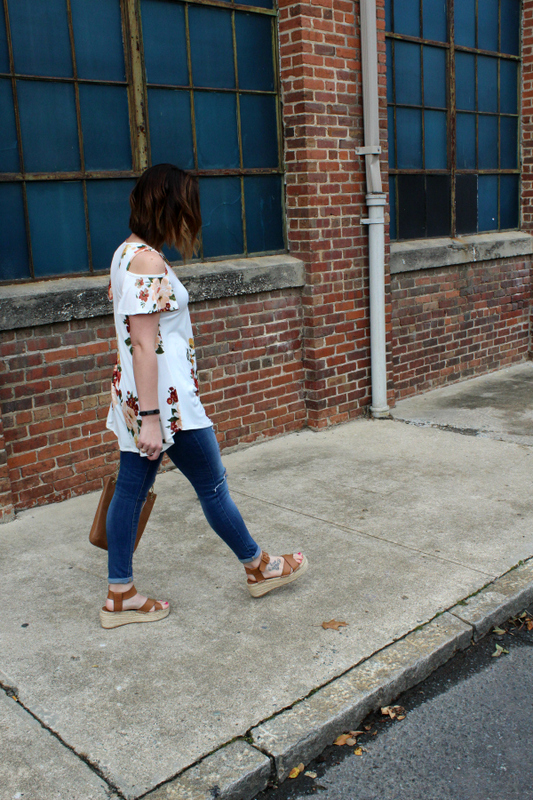 I love casual style on a budget. 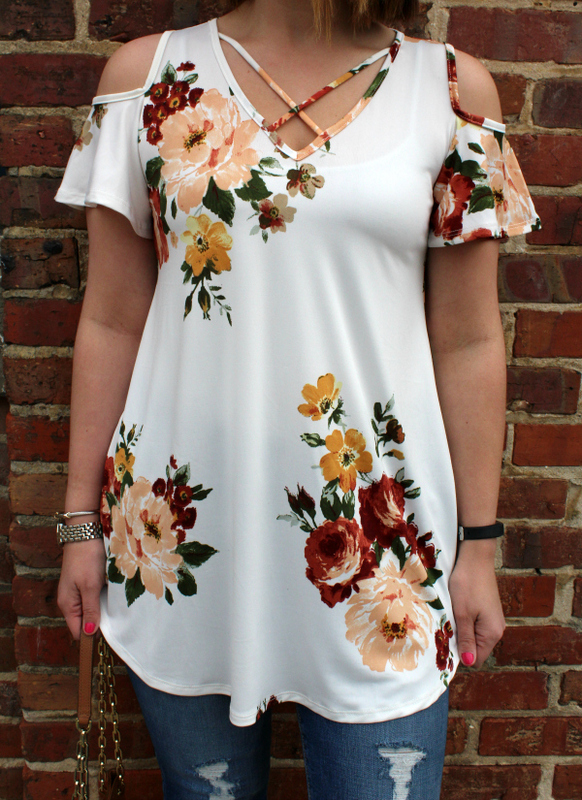 This Faily Floral top is the perfect top for spring and summer! 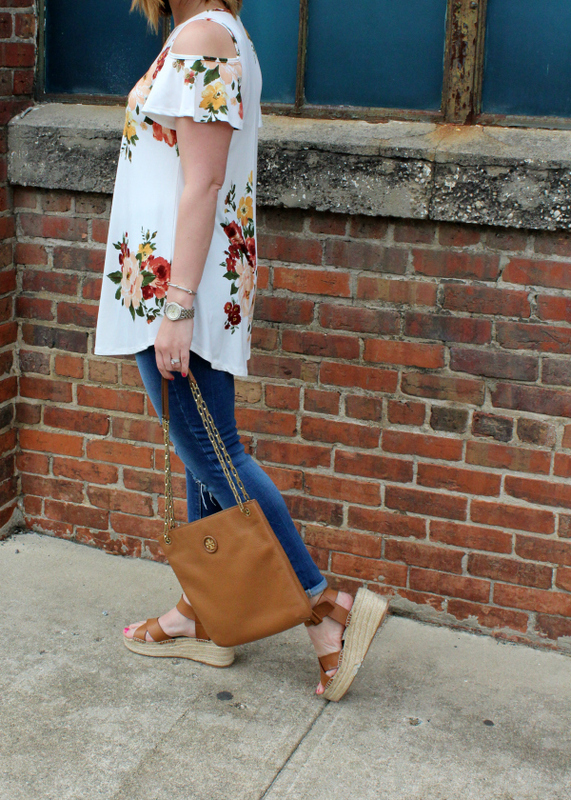 It's flowy, lightweight, and the floral print is just so pretty! 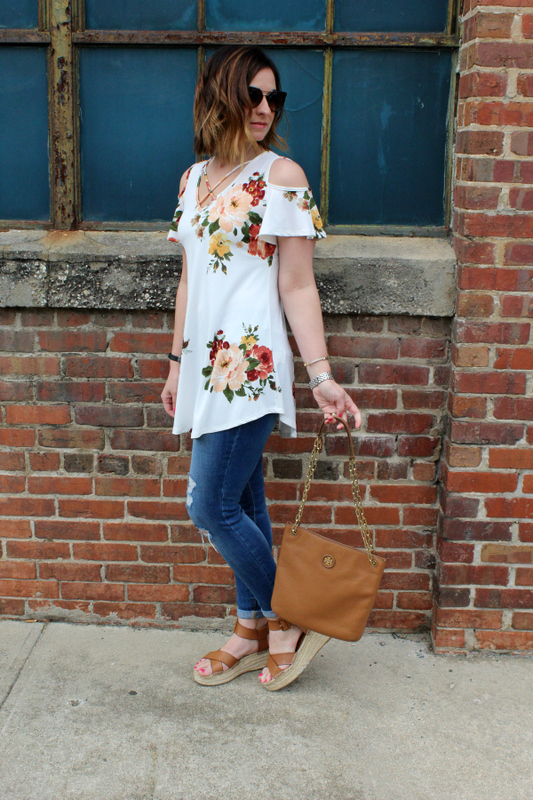 The pretty blush flowers caught my eye when I saw this top on their website. I paired it today with distressed skinny jeans, comfy flatforms, and a neutral bag. There's no need for a necklace because of this adorable criss cross neckline! For size reference, I am wearing a small and it fits loosely. 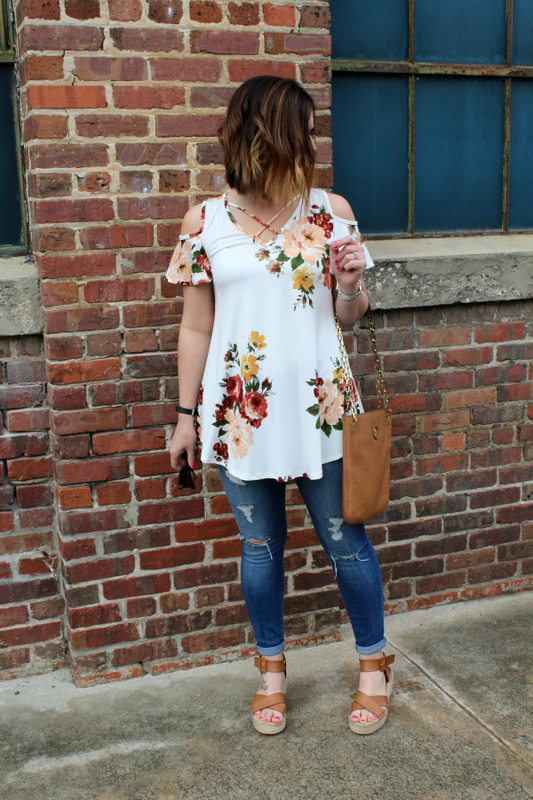 Get this top or anything else from Simple Addiction for 15% off with my EMILY15! Their leggings are super affordable and so comfortable so be sure to pick up a pair of those while you're there. I literally sleep in a pair every single night! Have a wonderful day, everyone! that floral top is so cute! I love all the details! Just an adorable top! Love the fun flirty details on it. And those shoes are perfect. 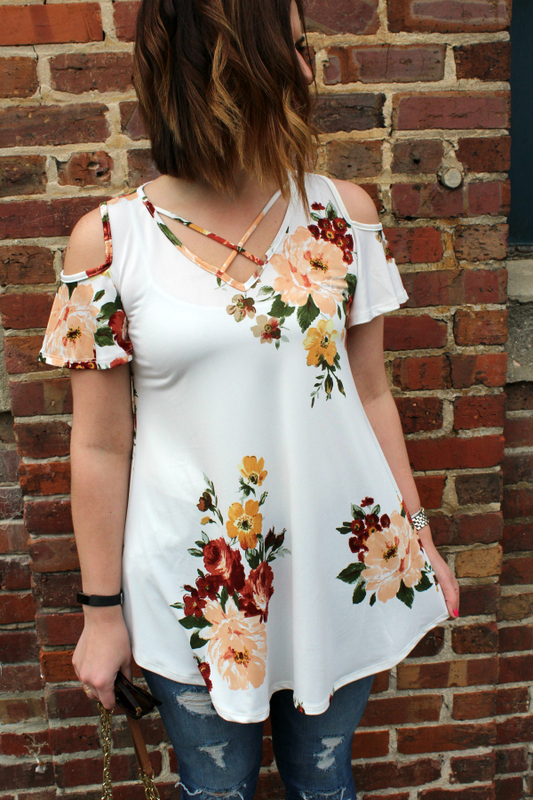 such a cute floral top, love the cut-out shoulder detail! I love how cute and simple it is! Great pick! !